#MastersOfHorror: Film News (UK): HorrorShow.TV acquires UK rights for Lucky McKee’s THE WOMAN. Film News (UK): HorrorShow.TV acquires UK rights for Lucky McKee’s THE WOMAN. Horror-themed VOD platform TheHorrorShow.TV is set to make a bold venture into physical distribution with its first 'all UK rights' acquisition, THE WOMAN. The film, starring Pollyanna McIntosh (Filth, White Settlers) will be released on DVD, Blu-ray and limited edition steelbook editions on August 18, with a brand new audio commentary by director Lucky McKee, who's latest film All Cheerleaders Die receives its UK premiere at FrightFest in August. Commenting on the VOD platform's new venture, TheHorrorShow.TV's David Hughes said, "Having celebrated our site's first birthday by uploading our 200th horror film, we are hugely excited about this new acquisition, which heralds our entry into the physical market with a lavish all-formats edition of Lucky McKee's brilliant 2011 horror film, The Woman. 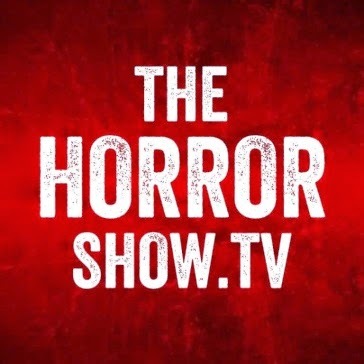 Of course, TheHorrorShow.TV is primarily a digital platform, but the physical side of film distribution shows no signs of slowing down, and we want to give horror fans as much choice as possible about how they consume their favourite genre." The film's director, Lucky McKee, commented: "I am delighted THE WOMAN has found a new home in the UK with The Horror Show.TV. With this new edition, fans will get a chance to watch the film along with me, as I have recorded a brand new commentary track within the home that inspired the story." Andrew van den Houten, who produced the film through his Modernciné company, added: "Modernciné is thrilled to be bringing The Woman back to audiences in the UK with our new partnership with TheHorrorShow.TV"
TheHorrorShow.TV will offer the film as a digital exclusive, and plans to include the film in its forthcoming subscription service, which will make many of the existing 200+ films available at TheHorrorShow.TV – including many digital exclusives – available to subscribers for £4.99 per month.